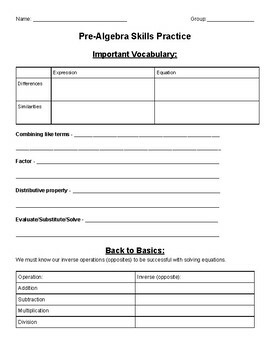 Learn important vocabulary, practice one and two step equations, and the distributive property. Practice skills for Eureka math Grade 7 Module 3. Great for intervention students who need to practice skills.